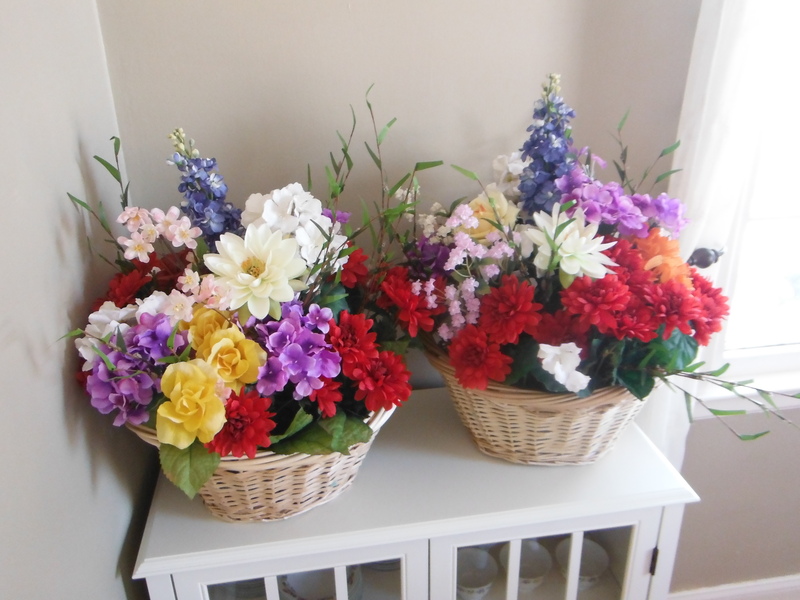 For Christmas I made these fake flower arrangements for my stepmom. She had been looking for something for the front porch at their place up north (where they’re not there every day to water!). However, usually fake flower arrangements are so crazy expensive. Well, step in to Goodwill…add a basket or two from Michael’s along with some flower foam…and voila! Yes, tis the season, so most of these posts will be centered around Christmas. Each year I do small presents at work for everyone, and decided to make the gift bags this year versus buying some. 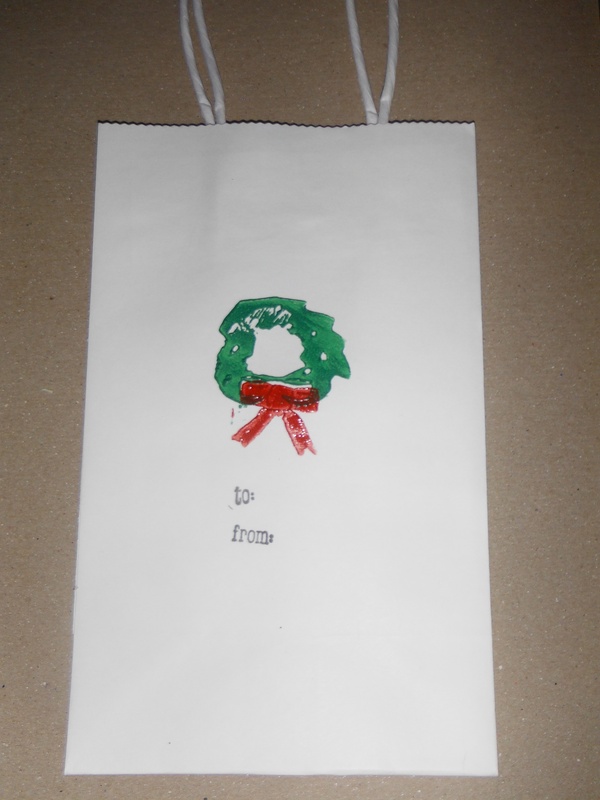 I had an unused set of plain white gift bags from Michael’s and used stamps that I made years ago- the wreath. Then I happened to have “to:” and “from:” stamps. Since I like things to be reusable, I put the names on red scrapbook paper and put them on with tape so they can go ahead and reuse the bags again! 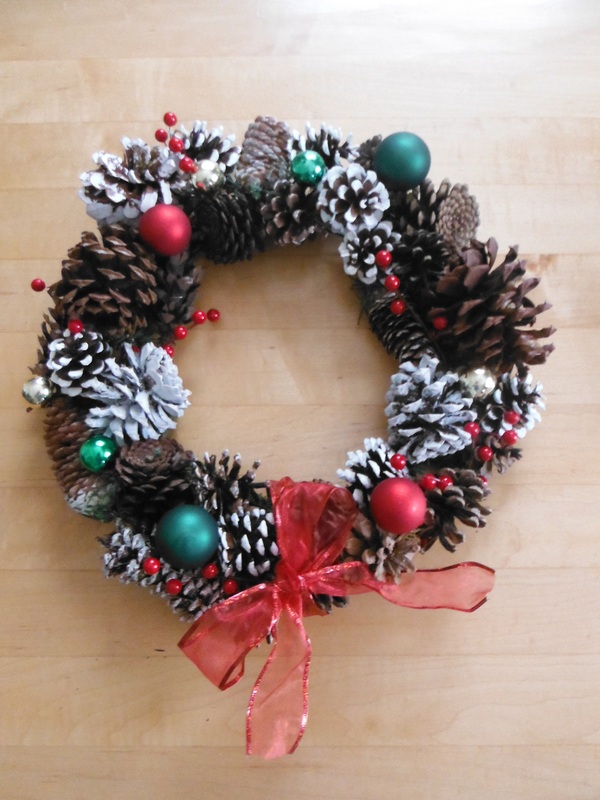 So making an upcycled Christmas wreath is pretty easy, and they turn out really well (inexpensive easy holiday decoration!). 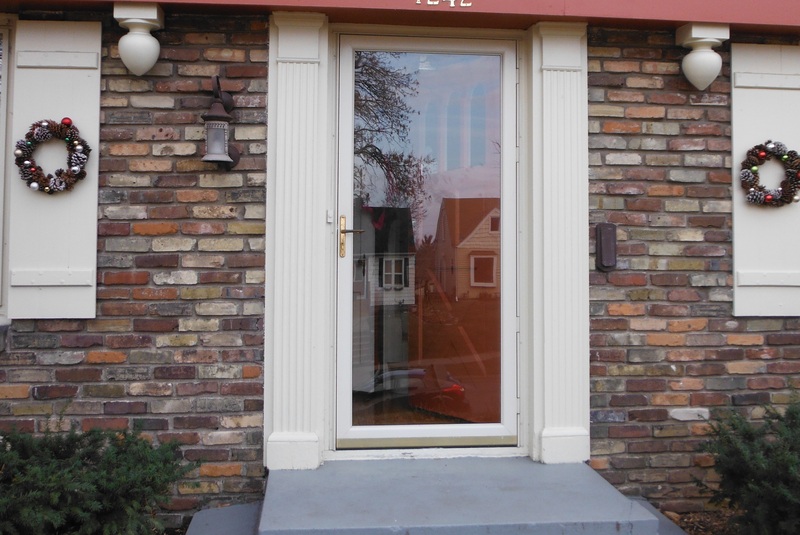 I made a compliment to my first wreath so I have two outside my door. All the materials except for the wire frame and florist wire (from Michael’s) came from ArtScraps (that I mentioned in my previous post). The material for the second wreath cost maybe $2.